Kirsteen McCue is a graduate of the Universities of Glasgow and Oxford, having won the prestigious Herkless Prize for top woman graduate in the then Faculty of Arts at Glasgow and also the Snell Exhibition to Balliol College, Oxford. Her D.Phil thesis focussed on the song editor George Thomson (1757-1851) and his collections of National Airs, a project which involved his collaborating with some of the most famous writers and musicians of the day, notably Robert Burns and Joseph Haydn. She spent a post-doctoral year working closely with the great Burns scholar the late Professor Donald A. Low at the Centre for Scottish Literature and Culture at the University of Stirling. She was General Manager of the Scottish Music Information Centre, a unique archive of music by Scottish composers of all periods, and an organisation at the forefront of international promotion of Scottish music (now The Scottish Music Centre: www.scottishmusiccentre.com). And she worked for several years as a freelance writer and broadcaster for the BBC in Scotland, presenting and producing a wide variety of music programmes for both BBC Radio 3 and BBC Radio Scotland. During this time she worked regularly for the Edinburgh International Festival, writing and presenting a number of lecture series for their continuing education programme. 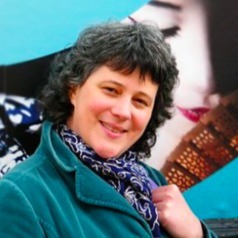 Kirsteen McCue has been part of Scottish Literature at the University of Glasgow since 2002, teaching across the subject from the Renaissance to the present day. Her research work continues to focus closely on Romantic song culture. She has been actively involved in the Glasgow University project, directed by Professor Emeritus Marjorie Rycroft, to edit all of the folksong settings of Joseph Haydn for George Thomson’s collections. She has just completed editions of James Hogg’s Songs by the Ettrick Shepherd (1831), and a companion volume of Hogg’s Contributions to Musical Collections and Miscellaneous Songs for the acclaimed Stirling/South Carolina Research Edition of The Collected Works of James Hogg for Edinburgh University Press. This project was awarded a major research grant of just over £150,000 from the Arts and Humanities Research Council (2005-8) with the late Professor Emeritus Douglas Mack at the University of Stirling. In 2011-12 she was awarded a small grant from the British Academy (£7500) to fund a research project on the materials belonging to the Literary Executor of the major 20th century Scottish writer George Mackay Brown. This project was undertaken by her former PhD student Linden Bicket. With Gerard Carruthers, she is now co-director of the University’s Centre for Robert Burns Studies, where she is on the key editorial team for the new Oxford University Press edition of the Works of Robert Burns. She will edit Burns’s songs for George Thomson. This project is due for delivery in 2017 and publication in 2018 (while the new edition of The Scots Musical Museum is edited by Professor Murray Pittock ). This project was awarded a major research grant of £1 million in 2011. She has recently been Principal Investigator on the Robert Burns Choral Settings project, funded by the University of Glasgow’s Chancellor’s Fund, which brought to life, with the University’s Chapel Choir, a range of choral settings of works by Burns from the early 19th century to the present day. At the moment she is also working with Dr Pam Perkins at the University of Manitoba on a new edition of Anne Grant’s Letters from the Mountains to be published by Pickering & Chatto.